Author: Possibly Samuel, the prophet. 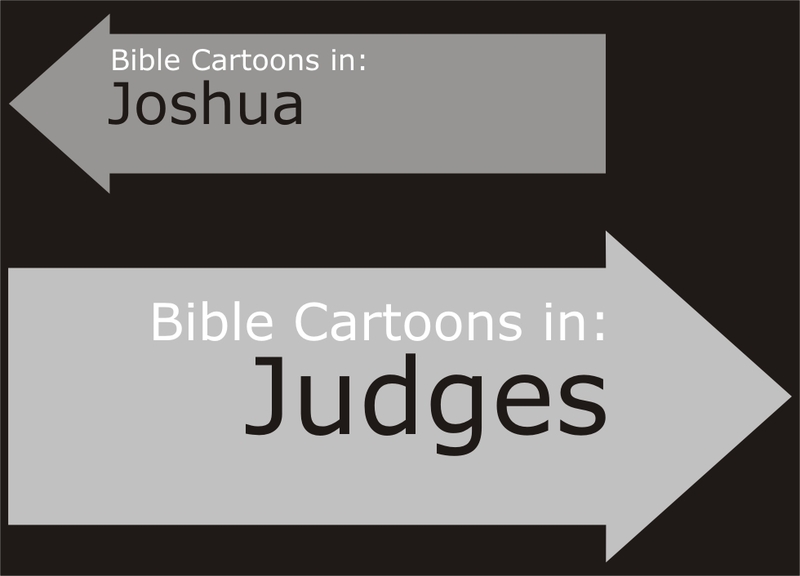 Brief description: Judges – Serving God in changing times. 01) Being part of God’s people means letting God rule life. 02) Election is a gift not a deserved award. 03) God is the only God, & no one else deserves worship. 04) Sin is destructive to God’s people. 05) Confession & petition lead to renewal. Numbers might be a bleak account of the Israelites’ stubbornness, if it were not outweighed by God’s faithfulness and protection. This is the fourth book in the Pentateuch, the first five books of the Bible. It’s an historical account but also teaches important lessons about God fulfilling his promises. Compromise, a serious problem with people today, is one of the main themes of Judges. When the Israelites failed to completely drive out the wicked nations in Canaan, they left themselves open to their influences—chiefly idolatry and immorality. God used the oppressors to punish the Jews. The Jews’ disloyalty to him had painful consequences, but they repeated the pattern of falling away many times. When the Israelites cried out to God for mercy, he delivered them by raising up the heroes of the book, the Judges. Filled with the Holy Spirit, these valiant men and women obeyed God—although imperfectly—to demonstrate his faithfulness and love. Othniel 1st judge. He went out to war & defeated Cushan-rishathaim, king of Mesopotamia. Ehud 2nd judge. He was notably left-handed & assassinated Eglon, king of the Moabites, thus delivering Israel from them. Shamgar 3rd judge. Using an oxgoad he assaulted the Philistines and killed 600 of them. Deborah 4th judge. She held court under a palm tree (which bore her name) between Ramah and Bethel in the hill country of Ephraim. Barak Son of Abinoam; from Kedesh-naphtali. Defeated the Canaanite armies of king Jabin, led by Sisera. Gideon 5th judge. Destroyed an altar to Baal. Along with 300 men, the Lord defeated the entire Midianite army. Destroyed Succoth; refused the crown; made an ephod which led Israel to idol worship. Abimelech 6th judge & king of Shechem. Infamous for hiring desperate men and killing all his brothers except Jotham, the youngest, who hid himself. Tola 7th judge. He ruled Israel twenty-three years in Shamir, Mt. Ephraim. Jair 8th judge. A Gileadite in Manasseh. He had thirty sons who rode on thirty donkeys, and they had thirty cities in the land of Gilead. Jephthah 9th judge. The illegitimate son of Gilead. A mighty warrior. Defeated Ammonite army. Ibzan 10th judge. The prosperity of Ibzan was indicated by the number of his children (thirty sons and thirty daughters) and his wealth by their marriages. Elon 11th judge. Of the tribe of Zebulun and judge for ten years. Abdon 12th judge. Son of Hillel, a Pirathonite, of the tribe of Ephraim. He had forty sons and thirty grandsons & ruled Israel for eight years. Samson 13th judge. Famous for his strength & mighty deeds. Delilah The Philistine woman who cut Samson’s hair & subdued him. All artwork, pictures and contents Copyright © 2012 - 2019 Martin Young.